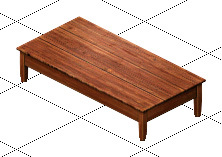 Coffee Table | A coffee table to match the Tuscan theme made from Mama’s Table. Dresser | A dresser to match PollyMogs end table. 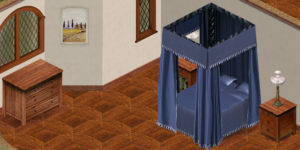 Bed by Party Sims as a recolor of the one by Trinkets and Treasures. Windows by Ferndale Sims.